Hey Chicago, climate change is looking at you: Last weekend brought mild, spring-like warmth while this Saturday bears the brunt of snowfall and sub-zero temps. 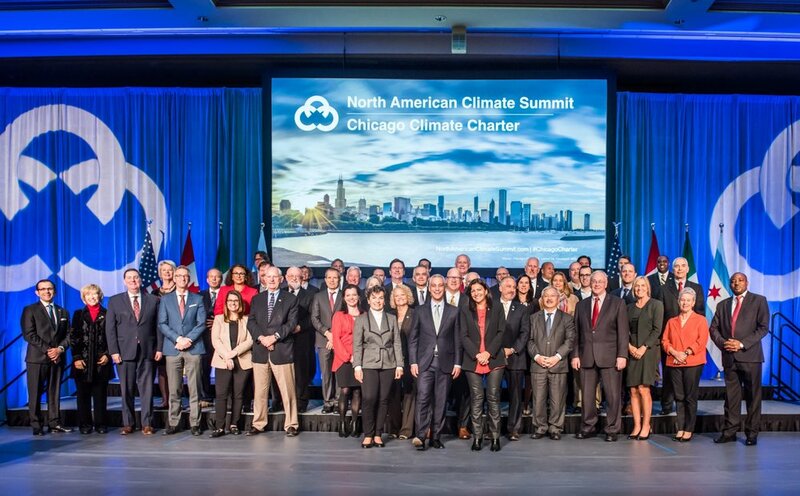 Less than three months ago the North American Climate Summit, held right here in the Windy City, brought together mayors, civic leaders, and businesses from across the U.S., Canada and Mexico to sign a charter pledging to reduce greenhouse emissions and address the impact cities have on climate change. “Cities are stepping into the void of leadership,” said Chicago Mayor Rahm Emanuel. One of the hidden highlights of the summit was 5th annual C40 Cities Bloomberg Philanthropies Awards Luncheon, which celebrated cities undertaking the most innovative projects against global warming. But despite the overwhelming support, some of the most important players living at the forefront of innovation, strategy, storytelling and creative thinking were missing from the table. You guessed it: Advertising and PR agencies. These are the professionals who determine what and when we buy, and much of what we believe. Their job is to tell stories and deliver on the most powerful ideas and campaigns that in turn change our behavior and perception of not just brands, but of society as a whole. It’s time for agencies to step up in a worldwide movement to save the planet, and not just for the occasional socially-conscious client. Seems obvious, right? Well, there are plenty of opportunities lurking about. We Are Still In is the broadest, bi-partisan cross-section of the U.S. economy ever assembled in pursuit of climate action. With over 2,500 leaders on board from state houses and city halls to boardrooms, faith communities, small businesses, schools, and college campuses, very few agencies are yet to make their voices heard. Proctor & Gamble, Walmart, Unilever and Target went to court last year in an effort to pass legislation making it easier to buy renewable energy. A number of big brands have adopted corporate social responsibility policies and sustainability plans and used the most expensive and popular advertising space in the world – the Super Bowl – to take positions on a number of social and economic issues. Ads mentioning energy, climate change and the environment – over 125,000 spots and climbing – surged to record levels during the 2014 midterm election. From carbon footprints to solar energy, companies are taking more public positions and strategies when it comes to the environment. Investors and shareholders need to know the risks – moral and economic – of not taking action, and consumers need to understand how their choices can (and should) impact the future of the planet. Advertising has enormous power on both fronts, playing a pivotal role in formulating a message and strategy for disseminating information that can tip the balance in the climate debate. “Advertising agencies have a crucially important role here, one they are slowly waking up to but struggling to come to grips with,” Tim Lindsay wrote in The Guardian as early as 2014. Agencies have the creative power and resources to spread the word and frame the debate. 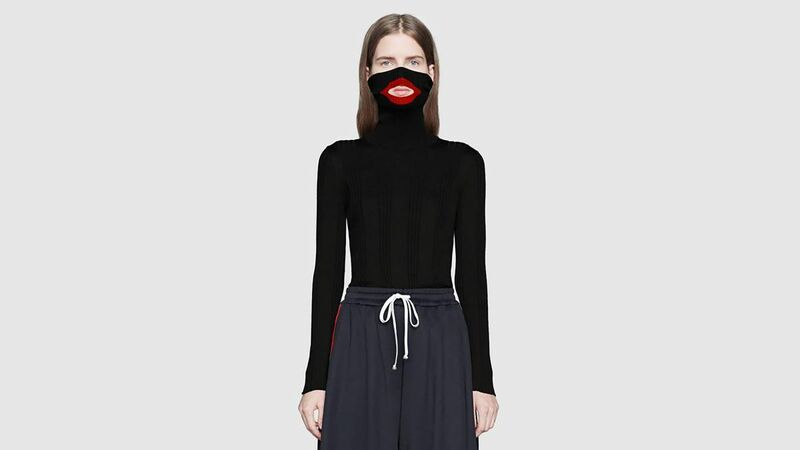 They are keenly aware of the most effective tools for altering brand perception and consumer behavior, especially among millennials and Gen Z, as well as an ability to design and produce much needed solutions. 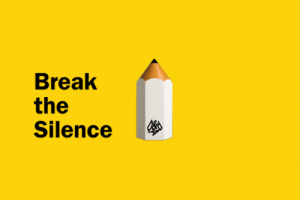 In the United Kingdom, the awards and creative education charity D&AD partnered in 2014 with social enterprise collective SWARM and Unilever to launch Break the Silence. The campaign encouraged ad and design industries to begin a conversation around climate change with clients. It also featured a video featuring both creative industry professionals and climate scientists in an effort to explore and encourage a more open, collective, industry-wide dialogue. “Climate change is now a story where nature meets culture,” the project states online. Three years later, the six largest global advertising holding companies, along with independent agency Wieden & Kennedy, joined forces for a campaign supporting United Nations efforts to meet its Sustainable Development Goals. Known as the Common Ground Alliance, the initiative began as a conversation between former Vice President Al Gore and WPP advertising group executive Sir Martin Sorrell at the Cannes Lions International Festival of Creativity. Tim Lindsay of the Guardian argues that advertising agencies can be proactive by providing compelling evidence that sustainability translates into economic benefits for clients. “Their clients need to be able to demonstrate that doing the right thing is the right thing to do commercially,” Lindsay writes. How does your work in the industry shape the debate on climate change? Does your agency acknowledge the threat and challenges posed by climate change? Does your agency have any internal carbon accounting policies or energy use reduction targets? How are you sharing these efforts with clients, vendors, employees? Does your agency have an internal Corporate Social Responsibility (CSR) policy? Would you consider working with clients that deny the existence of man-made climate change or seek to block environmental regulations? Why or why not?  Curmudgeon Group is a proud member of We Are Still In. Follow our lead!